THE BEST BATTERY TERMINALS IN EXISTENCE!!! 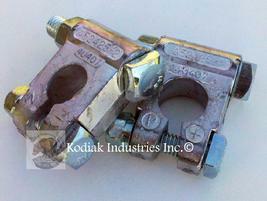 These heavy-duty clamps provide you a solid connection for all your necessary wires. Precision moulded hi-grade lead battery connectors.